Looking for some new ways to spice up your life? Well say those four words and win an exciting blindfold to surprise your sweetheart. 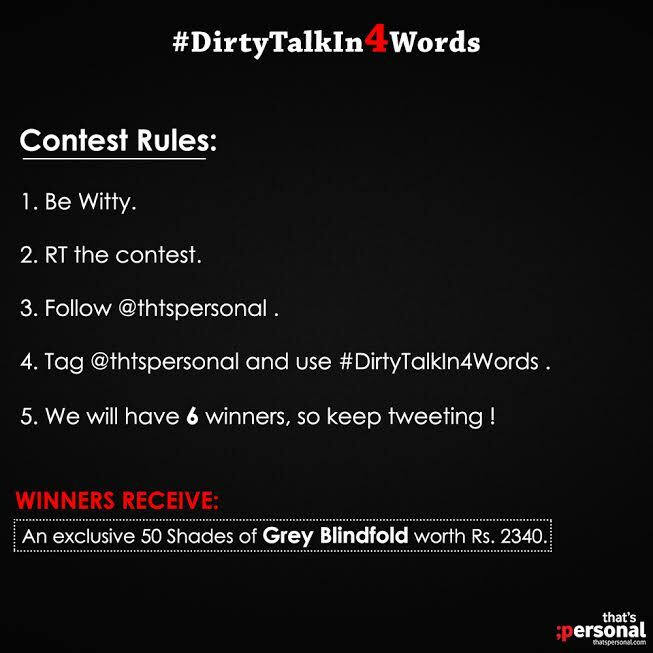 Today’s Twitter talks about #DirtyTalkIn4Words and if you know what you mean then it out loud on digital space. All the best Tweeps !